Explore below key excerpts of revealing news articles on newly declassified documents surrounding the assassination of John F. Kennedy which show that the U.S. developed plans to use a false flag attack as a pretext for war, the corrupted process behind the Federal Communications Commission's plan to repeal net neutrality rules despite widespread public support for the regulations, a CNN investigation which found pervasive sexual harassment on Capitol Hill, and more. Read also wonderfully inspiring articles on New York's new program to provide free college tuition to some residents, a "Medicine Baba" who goes door to door collecting unused prescription drugs to provide Delhi's poor with free medicine, the sharp decline of both cigarette smoking and global malaria deaths in recent years, and more. You can also skip to this section now. Special note: A study published on the National Institute of Health showed "higher prenatal fluoride exposure ... was associated with lower scores on tests of cognitive function in the offspring at age 4 and 6-12 y." Excellent reporter Chris Hedges has written a great piece on how Russia Today is being targeted. Read a fascinating, strange article with photos suggesting that the Pope's audience hall is designed to represent a snake's head on the inside and outside. A Baltimore police detective was killed last week just a day before he was going to testify against corruption of fellow cops. Correction: The message on vaccines that went out on Nov. 24th mistakenly stated that Rolling Stone had removed the Robert F. Kennedy article "Deadly Immunity." The article posted is still posted on their website at this link, though a subscription is necessary to read the full article. Be extra careful of the male lawmakers who sleep in their offices - they can be trouble. Avoid finding yourself alone with a congressman or senator in elevators, late-night meetings or events where alcohol is flowing. And think twice before speaking out about sexual harassment from a boss - it could cost you your career. These are a few of the unwritten rules that some female lawmakers, staff and interns say they follow on Capitol Hill, where they say harassment and coercion is pervasive on both sides of the rotunda. There is also the "creep list" - an informal roster passed along by word-of-mouth, consisting of the male members most notorious for inappropriate behavior. CNN spoke with more than 50 lawmakers, current and former Hill aides and political veterans who have worked in Congress, the majority of whom spoke anonymously to be candid and avoid potential repercussions. With few exceptions, every person said they have personally experienced sexual harassment on the Hill or know of others who have. On Tuesday, a House committee held a hearing to examine the chamber's sexual harassment policies, and the Senate last week passed a resolution making sexual harassment training mandatory for senators, staff and interns - two clear acknowledgments of the need for reform. Travis Moore, a former aide to ex-Rep. Henry Waxman, started a signature-gathering campaign last week calling on congressional leaders to reform "inadequate" sexual harassment. His letter has gathered over 1,500 signatures. Air Force Gen. John Hyten, commander of the U.S. Strategic Command (STRATCOM), told an audience at the Halifax International Security Forum in Halifax, Nova Scotia, on Saturday that he has given a lot of thought to what he would say if a president ordered a strike he considered unlawful. As head of STRATCOM, Hyten is responsible for overseeing the U.S. nuclear arsenal. "I provide advice to the president, he will tell me what to do," Hyten added. "And if it's illegal, guess what's going to happen? I'm going to say, 'Mr. President, that's illegal.' And guess what he's going to do? He's going to say, 'What would be legal?' And we'll come up with options, with a mix of capabilities to respond to whatever the situation is, and that's the way it works." Hyten said he has been trained every year for decades in the law of armed conflict, which takes into account specific factors to determine legality - necessity, distinction, proportionality, unnecessary suffering and more. Running through scenarios of how to react in the event of an illegal order is standard practice, he said. "If you execute an unlawful order, you will go to jail. You could go to jail for the rest of your life," Hyten said. Hyten's comments come against the backdrop of continued tension with North Korea. In the past, the president has pledged to unleash "fire and fury" and to "totally destroy" North Korea if necessary. Hyten's comments also come as Congress is re-examining the authorization of the use of military force and power to launch a nuclear strike. I traveled from Baltimore to join hundreds of thousands of protesters at counterdemonstrations around Mr. Trump’s swearing-in. Little did I know that I would be swept up into a legal nightmare that demonstrates how prosecutors intimidate and manipulate defendants into giving up their rights. Minutes after I got to downtown Washington on Jan. 20, police officers used pepper spray, “sting-ball” grenades and flailing batons to sweep up an entire city block in a mass-arrest tactic known as “kettling.” Next, prosecutors ... took the highly unusual step of indicting more than 200 of those arrested. Most of the people in the group, which includes journalists, legal observers and volunteer medics, face charges of engaging in a riot, inciting a riot, conspiracy to riot and property damage. In addition to seizing the contents of at least 100 cellphones, prosecutors secured broad warrants for Facebook pages. The government has failed to provide most defendants in the case with evidence of their alleged individual wrongdoing. For example, I was offered a plea deal (to a single misdemeanor charge) on the basis of virtually nothing more than being at the site of the protest. This serves to illustrate a critical problem in the American justice system: Prosecutors have the power to single-handedly destroy lives, and there are few consequences for abuse of that power. At the same time, their main measure of success is the ability to secure convictions, not the degree to which justice is served. Note: United Nations officials recently said that the US government's treatment of activists was increasingly "incompatible with US obligations under international human rights law". For more along these lines, see concise summaries of deeply revealing news articles on judicial system corruption and the erosion of civil liberties. In July, the Food and Drug Administration took the important step of approving two final-phase clinical trials to determine whether a party drug that has long been on the Drug Enforcement Administration’s Schedule I list of banned substances could be used to treat a psychiatric condition that afflicts millions. The drug is MDMA, a psychedelic commonly known as Ecstasy. The trials aim to determine whether the drug is, as earlier trials have suggested, a safe and effective treatment for post-traumatic stress disorder. The F.D.A. approval is a beacon of hope for the roughly eight million Americans believed to suffer from PTSD, a group that includes victims of abuse, refugees and combat veterans. The shortcomings in the way we have typically treated PTSD mean that many are condemned to suffer from the condition for years, even decades, with little relief. Less than 20 percent of patients are estimated to get effective treatment through prescription psychiatric drugs ... which, along with psychotherapy, have been the global standard of mental health care since the 1990s. This could change with the F.D.A.’s decision, which has given MDMA-assisted psychotherapy for the treatment of PTSD the status of a potential “breakthrough therapy.” This designation permits the fast-tracking of trials in hopes of proving the drug, which has psychedelic and stimulant effects, to be safe and capable of doing what no other drug on the market can. Note: Read more about how MDMA has been found to be highly effective for treating PTSD in a therapeutic context. Articles like this suggest that the healing potentials of mind-altering drugs are gaining mainstream scientific credibility. People with a history of mental illness, drug abuse and self-mutilation can now apply to serve in the U.S. Army, according to a report on Sunday, which emerged as a former Air Force recruit’s mass shooting at a Texas church continues raising questions about the military’s handling of mental health problems. The Army signed off on the change of policy in August but never announced it. Under the new policy, applicants with mental health issues that previously would have barred them from service can ask for waivers allowing them to sign up. This ends an eight-year ban on the waivers that started after a spike in suicides among American fighters. More than 200 active-duty servicemembers have died by suicide every year since 2008, according to Pentagon data. The latest mental health controversy began last week after Devin Kelley ... shot and killed 26 people. Kelley had been kicked out of the Air Force in 2012 for assaulting his wife and infant stepson, and he was also committed to a mental health facility in New Mexico, where he escaped after threatening to kill his superiors. The Air Force said Kelley was ... never entered into a federal criminal database, which would have stopped him from buying weapons. This is the second consecutive year the Army has changed its recruiting standards to meet crushing demands for more troops. Forget about boring stocks. Bitcoin is where it's at these days for investors. The virtual currency is now trading at a record high above $8,200. If this keeps up, bitcoin could be trading at $10,000 before the end of the year. The price of one bitcoin has surged more than 735% this year alone and has skyrocketed nearly 40,000% in the past five years. Some investors are likely flocking to bitcoin as a speculative bet. But there's also a legitimate case to be made that bitcoin, ethereum, litecoin and other cryptocurrencies are the future of money and that more and more people will conduct actual transactions using these currencies. To that end, Square - the popular mobile payment service run by Twitter CEO Jack Dorsey - recently announced a trial that will let some users of its Cash app purchase bitcoin. "We're always listening to our customers and we've found that they are interested in using the Cash app to buy bitcoin," said a spokesperson for Square. "We believe cryptocurrency can greatly impact the ability of individuals to participate in the global financial system," the Square spokesperson added. And CME Group, owner of the Chicago Mercantile Exchange, said earlier this month it plans to soon list bitcoin futures contracts. Futures let investors buy and sell an asset at a specified price at a later date, They're popular bets for currencies, metals and agricultural commodities. In other words, CME Group is now treating bitcoin as a legitimate financial asset. Note: If you invested $100 in Bitcoin five years ago, it would now be worth about $5 million. Even since this article was written a week ago, Bitcoin's price has surged more than 10%. The fact that the media is hardly reporting this suggests it may have a ways to climb and that digital currencies might even dominate other currencies some day. Does ‘Elsagate’ prove YouTube is too big to control? In February, YouTube announced it had hit a staggering milestone: visitors were now consuming the equivalent of a billion hours’ worth of video every day. Some of YouTube’s most popular channels are aimed at children, with creators ... gaining millions of subscribers and billions of views. But there is a problem. YouTube is absolutely flooded with extremely violent, inappropriate, sexually suggestive videos targeted at children. These videos are finding their way into autoplay lists alongside age-appropriate clips. Journalist James Bridle delved into this unsettling phenomenon, dubbed Elsagate. He found that as content creators chase viewers, successful - and originally harmless - formulas for garnering views are “endlessly repeated across the network in increasingly outlandish and distorted recombinations”. At their most extreme, these include a legion of unsettling videos which appear to be produced, or in some cases automatically generated, in response to popular keywords. They often feature disturbing themes and sexual or violent content. For instance, a search for “Peppa Pig dentist” returns a homemade clip in which the popular children’s character is “tortured, before turning into a series of Iron Man robots and performing the Learn Colours dance”. ElsaGate has exposed a long-standing truth about YouTube that can no longer be ignored, says Polygon: the filters designed to protect users of all ages from disturbing, violent or illegal content are not up to the job. Note: Read a much more in-depth article on serious problems with kids videos on the Internet. For more along these lines, see concise summaries of deeply revealing corporate corruption news articles from reliable major media sources. Overdoses are now the leading cause of death of Americans under the age of 50. According to preliminary data compiled by The New York Times, deaths last year likely topped 59,000 - 19 percent more than the year before. In Ohio, they were up even more. On May 26, Cleveland Police Sgt. Timothy Maffo-Judd's body camera was running as he approached a man slumped in his car. It turned out that the man was minutes from a fatal drug overdose. Three applications of Narcan - the anti-overdose drug - and the victim finally started coming around. Maffo-Judd says it's become a grim routine, and he's even encountered the same person twice. "That's pretty common," he says. In Ohio, at least 4,100 people died from unintentional drug overdoses last year - a 36 percent increase from 2015, when the state led the nation in overdose deaths. Kentucky, West Virginia and New Hampshire have also experienced shocking increases, along with the East Coast. Most of it is tied to heroin or prescription painkillers, often laced with a powerful synthetic opioid known as fentanyl. In Ohio alone, nearly four billion opioid pills were prescribed across Ohio between 2011 and 2015. Ohio is now suing five big drug companies that manufacture prescription painkillers, charging that they knowingly minimize the risks of addiction. As Attorney General Mike Dewine put it: "They knew they were wrong but they did it anyway and they continue to do it." Note: This excellent article has lots more on the intense level of corruption found in this opioid crisis. 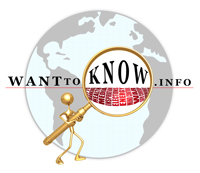 For more, see concise summaries of deeply revealing news articles on corruption in government and in the pharmaceutical industry. Two days after agreeing to pay states nearly $20 million for falsely marketing OxyContin, the drug's maker, Perdue Pharma, and three current and former executives plead guilty to federal charges. The Stamford, Conn.-based maker of the powerful painkiller, and three of its current and former executives, pleaded guilty Thursday to misleading the public about OxyContin's risk of addiction. Purdue Pharma L.P., its president, top lawyer and former chief medical officer will pay $634.5 million in fines for claiming the drug was less addictive and less subject to abuse than other pain medications, U.S. Attorney John Brownlee said. The plea agreement comes after the company agreed to pay $19.5 million to 26 states and the District of Columbia to settle complaints that it encouraged physicians to overprescribe OxyContin. Even though the company was warned by health professionals, the media and members of its own sales force, "Perdue continued to push a fraudulent marketing campaign that promoted OxyContin as less addictive, less subject to abuse and less likely to cause withdrawal when they knew in fact that that was not true," Brownlee told CBS News correspondent Barry Bagnato. "Doctors are often approached right in their offices by pharmaceutical company sales reps dispensing information about one medication or another," said CBS News medical correspondent Dr. Jon LaPook. "This case is a reminder to doctors not to believe everything they hear." Note: The family which owns Purdue, maker of OxyContin, is among the 20 richest families in the U.S., thanks largely to sales of Oxycontin, which has resulted in thousands of overdose deaths, according to this article in Forbes. For more, see this revealing article. Then see concise summaries of deeply revealing news articles on pharmaceutical industry corruption and health. New York's Excelsior Scholarship is the first of its kind. It covers the cost of tuition for qualifying students who are enrolled in a two- or four-year degree program at any of the state's 88 public colleges and university campuses. Plans for the scholarship were announced by Governor Andrew Cuomo in January. At first, students planning to attend college this fall didn't know whether it would become reality in time. It was officially approved by the legislature in April. When Governor Cuomo announced the program he said that college, like high school, "should always be an option even if you can't afford it." While similar programs in other states have made tuition free for community college students, the Excelsior Scholarship is the first to include those pursuing a four-year degree. The scholarship could save students as much as $27,000 over four years by cutting out tuition costs. The award doesn't cover fees charged by the school, or room and board. Students must also agree to live in state after college for the same number of years they received the scholarship, or it will be converted to a loan. Bonnie Tang, [a] Stony Brook freshman, is commuting from her home in Brooklyn, saving her about $13,000 in room and board costs. She'll have to buy a monthly train pass [and] pay about $2,560 in fees this year. But everything else is free. "My tuition is paid for and that saves me a lot of money," she said. The “Medicine Baba,” Omkar Nath Sharma, 75, spends his days knocking on doors in Delhi’s upper and middle class neighborhoods, collecting their leftover medicines and giving them to the poor. Mr. Sharma, a former medical technician ... starts his day at 6 a.m., when he leaves his rented home in Manglapuri, a southern Delhi suburb, and travels by buses on his senior citizen pass to wealthier parts of the city. He has built up a pool of regular contributors in neighborhoods like Green Park, who he calls on when they have medicines they no longer need. Wearing an orange shirt that says “Mobile medicine bank for poor patients,” he picks up medicines that he estimates are worth 200,000 rupees, about $3,860, a month, and then distributes them to individuals and charitable clinics for no charge. Mr. Sharma knows that loosely distributing medicine brings real risks, so he said he will only give them out if a patient has a prescription from a doctor. Vimla Rani, a 47-year-old maid, said she is alive because of Sharma’s medicines, which help to control her asthma. “I keep on getting inhalers and other medicines from Medicine Baba,” she said. “Thousands of poor people die as they can’t afford expensive medicines, while at the same time unused medicines worth millions get wasted,” Mr. Sharma said. He also distributes medicine to more than a dozen nongovernmental organizations. Below are two powerful graphs in “Health Abundance” I wanted to share this week. 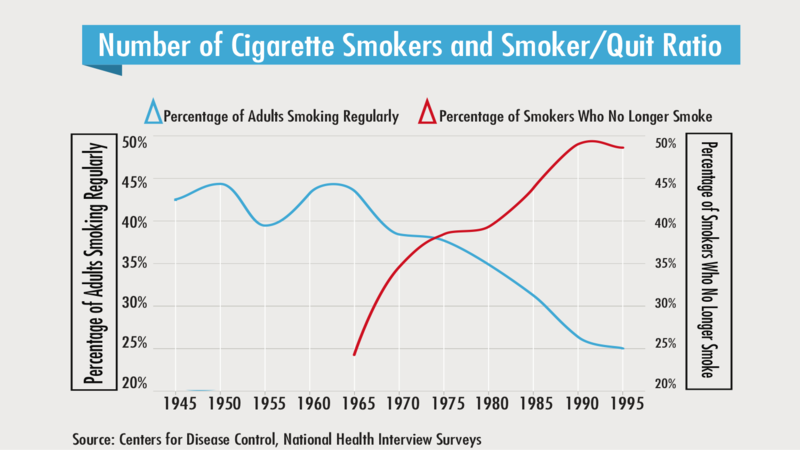 First is the massive reduction in smoking from 45 percent in the 1960s to 25 percent today. The bad news is that smoking is still the #1 preventable cause of death in the United States. Cigarette smoking causes more than 480,000 deaths each year in the United States. This is about one in five deaths. Smoking causes more deaths each year than all of these combined: HIV, alcohol, car accidents and guns. 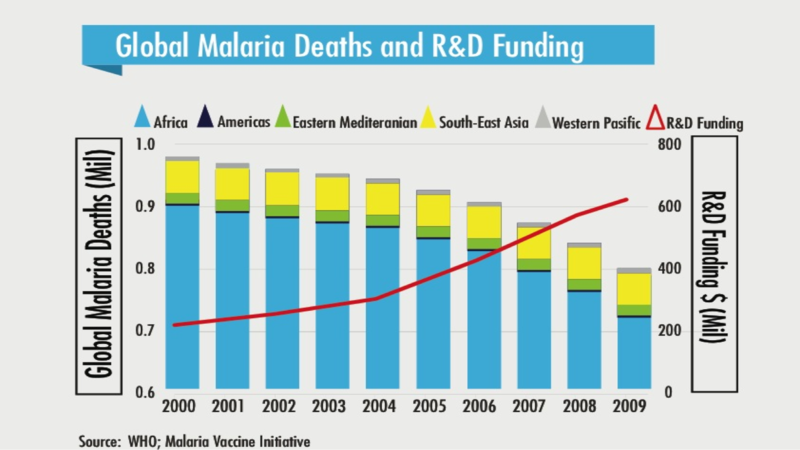 Second, is a look at the reduction of global malaria deaths, and the increase in funding allocated for research and development to cure malaria. As medical research continues and technology enables new breakthroughs, there will be a day when Malaria and most all major deadly diseases are eradicated on Earth. I hope you enjoyed this week’s Evidence of Abundance. Note: See a great booklet filled with inspiring graphs showing how our world is gradually becoming ever more abundant.